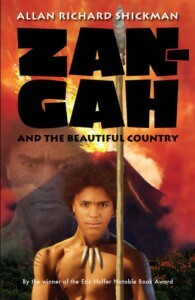 While I really enjoyed reading Zan-Gah: A Prehistoric Adventure, I absolutely loved Zan-Gah and the Beautiful Country. This book was just amazing, from the development of the characters, to the writing, and the story just completely drew me in from the first page. I think the reason I liked this one more was because there was even more tension between Zan and his brother Dael. I’m quite surprised to say that Zan-Gah and the Beautiful Country might just be one of my favorite books that I have read this year. I liked the writing a lot more in the sequel; it might just be that I was used to the “voice of god” narration, but I thought it flowed a little more than the first book. My favorite part of this book would have to be the confrontation between Zan and Pax (his wife); over his feelings for Lissa, it was just so dramatic. Yet, it was done in a way that made you feel for Pax (who loved him, yet who wasn’t about to stand around and let things continue on as they were, leaving her as the Zan’s second choice), but you also felt bad for Zan. It’s complicated, but that’s what it made it so interesting. Since it picks up right where the first book left off, I don’t really have any part of the book that I can peg as my least favorite. 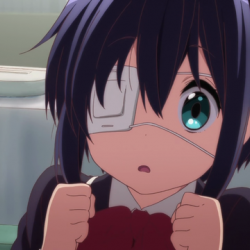 Final Verdict on Zan-Gah and the Beautiful Country: I think that it’s a great series to give to a reluctant reader because it will (in all likelihood) draw them in as it drew me in.